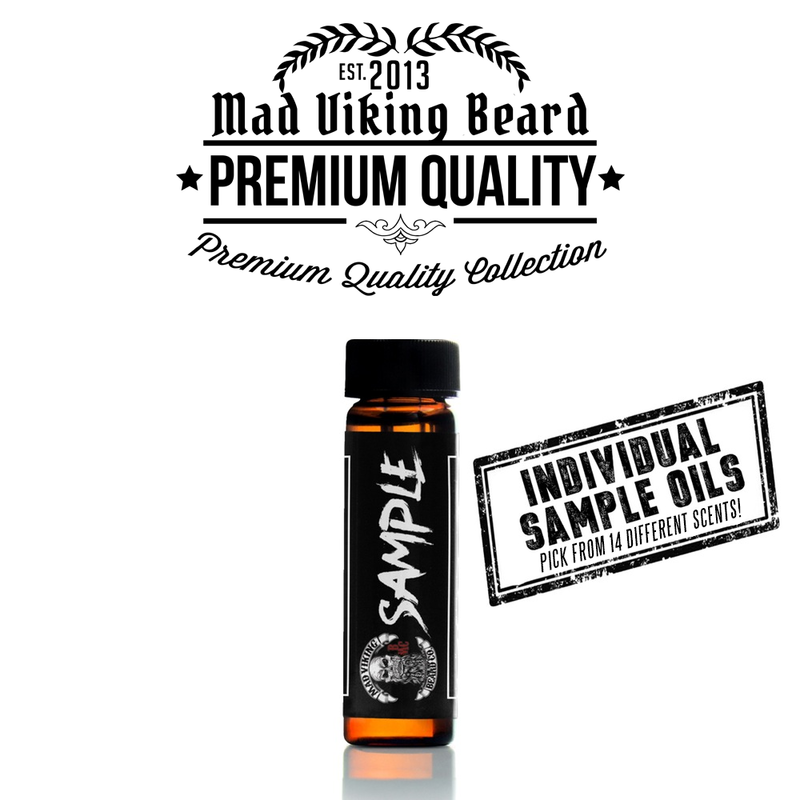 Mad Viking Sample Beard Oil Pack - Mad Viking Beard Co. Choosing all 14 scents equals 7oz of Beard Oil in total for a great selection and value! Choose to get all 14 scents or try one out individually! All of our oils contain the following eight nutrient rich carrier oils to help maintain, condition, and promote the healthy growth of your beard without looking or feeling greasy. 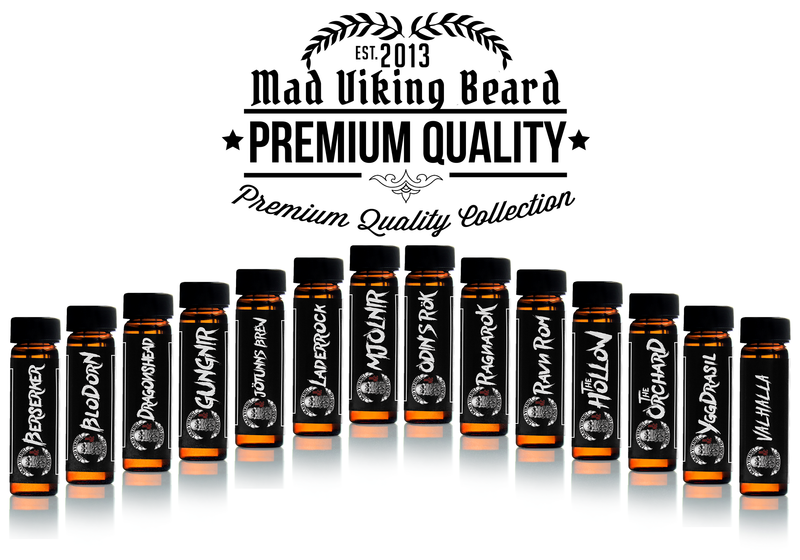 Simply put, Mad Viking Beard Oil is just better for your beard.